Percy Parker is quiet, timid young lady with a romantic heart and a sweet disposition, always trying to hide her snow white hair and skin with scarfs and her eyes with dark glasses because she feels her ghostly appearance disgust and scare people. She's lead a lonely life being raised in a convent because she was orphaned as babe. Percy is giving an opportunity to attend Athens Academy, even though she is 18, very much past the age a woman in this time period would likely continue her education. At Athens Academy she meets the darkly handsome and brooding Professor Alexi Rychman and knows for the first time the stirring of attraction. Twenty years ago when Alexi Rychman was just on the brink of manhood, he was chosen to be the leader The Guard by a mystically woman, that he thinks of as a goddess. The Guard are six chosen ones tasked with protecting the living from the evil, ghostly dead wandering earth. Each member of the guard possess their own special ability to help fight off the ghostly evils. But lately, even all together, their powers aren't enough against the dark forces that seem to be growing. It was prophesied when The Guard was formed that a seventh member would join them in their battle against evil, help keep the balance between this world and the world beyond. Now, they are desperate to find the prophesied seventh member. But they were only given a few obscure clues as to who this seventh member may be. 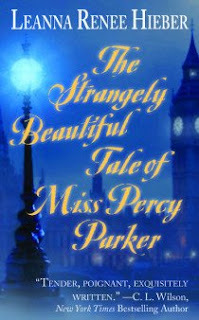 It's has been awhile since I've read a gothic fantasy and I don't remember being this entertained reading a book in this genre as much as I was reading Strangely Beautiful Tale of Miss Percy Parker. I enjoyed how Ms. Hieber prose could make me feel the anticipation of that first touch and the thrill of that first kiss. I was transported to a Victorian London, during the terrible reign of Jack the Ripper. I could hear the clip-clop of the horse hooves echoing down the street, see the ghosts along the streets and feel the eeriness that always seem to accompany the evenings in London. Since I've read this book, I've even caught myself thinking in Victorian speak, it had that much of an impact on me. It was truly a pleasure reading Ms. Hieber's tender love story with her version of Greek mythology mixed with the paranormal. The plot was well rounded and the ending gives you a nice closure but I have a few questions lingering that I hope will be answered in the next book. Your not going to find anything too terribly dark or forbidding in this book, though the evil ones were evil enough to fulfill their part in the setting of this book. It was a wonderful journey reading this book and I'm looking forward to next book in this series. Yes, I would definitely recommend this book. If your still not sure about reading this book, I suggest that you head over to Leanna Renee Hieber's website and read the prologue and excerpts. I was hooked from reading just the prologue and I'm betting you will be too. Wasn't Percy a lovely book? I think you hit it right on the nail when you described this book as being tender. Very excited for the sequel now. And if I start on Alexi, I won't stop. Hee. Tender is the perfect word!! I loved Percy and Alexi's relationship. And I totally agree Leanna Renee Hieber sweeps you into the story..every detail is so vivid. I can't wait for the tale to continue! Yes, it was Katie! I'm so looking forward to the next book. Really want to find out more about Alexi's heritage and who were Percy's parents? Thanks Mandi! Same here, I really loved how Leanna's words pulls you into the story also. I'm so very, very thrilled! And I just thought I'd assure Donna et al that indeed as Book II picks up exactly where Book I leaves off, Alexi and Percy remain in the focus. They've just gotten the chance to get their bearings together, I need to show and give them their time together. And I cannot wait to share it with all of you. I'm so thrilled by your support along the way. Oh, this does sound good! Thanks for sharing your thoughts, Donna. I have read three ARc reviews, Amy's, Mandi's and now your's Donna, loved reading your review too and I once more have to say that I can't wait to read this book! Great review, Donna! I'm reading it right now and it's been so fun watching all the reviews pop up one by one. I love the six so far. Thank you Leanna! I was hoping to get a deeper look into Percy & Alexi relationship in the next book. Chris & Leontine - I hope you both get a chance to read Strangely Beautiful!! 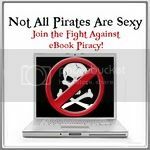 Angiegirl - Oh, I look forward to reading your thoughts on this book!!! So now I think I have to buy this one. I sounds sound really fantastic. Great review! I loved this book and I'm soooooooooo excited to read more! I'm intrigued to know the new books title! Whatever could it be called!??!?! Thanks for the link to my review! SusiSunshine - I hope you read it, because it is a fantastic read!! i want to read all the reviews but don't want to feel i have read the book out of order before i get it because of all the bits and pieces i have read...so thank you for not putting them in. i am so very excited about getting and reading the book. reading what others have thought about the book and what she says in the different interviews is most interesting.